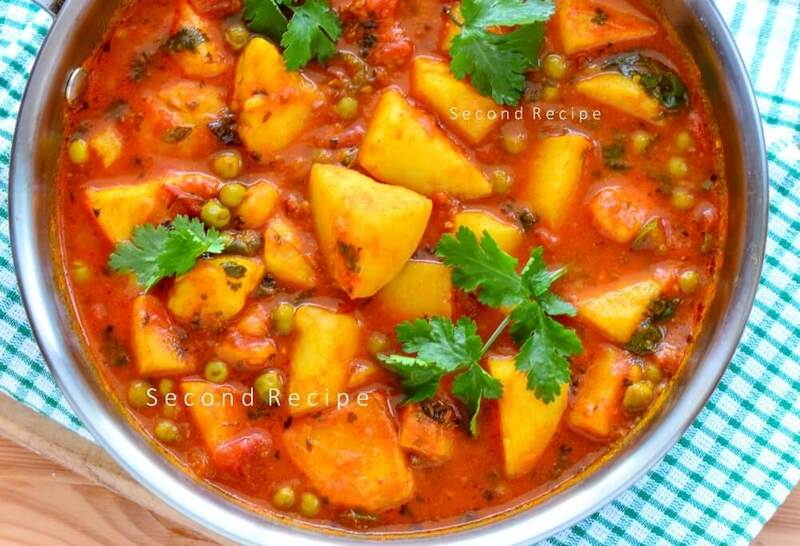 Aloo matar-potato peas curry is my go-to recipe when I am lazy.Sometimes you are just too tired to cook dinner.It is a versatile curry.You can pair it with any kind of flatbread roti,fried poori. Just boil some potatoes while you unwind.You may also steam them earlier in the day.Minimal ingredients and spices.However, one of the best comfort foods.Most amateur cooks,bachelors can cook it.It is great on a budget and healthier than a takeaway.Kids love it,so does anyone who needs a fast meal.This curry takes me back to the by-lanes of Kashi ,near the Kashi Vishwanath temple. Below is a video of tari wali aloo matar ki sabji. Watch,make and enjoy! This recipe is a Jain one.Cooking without onions garlic and even ginger is detoxing.Some people avoid root vegetables and onion,garlic due to religious reasons.They may also have allergies.You can enjoy this curry, with rice or roti. It is easy,tastes great ,although it has minimal ingredients. Add cumin seeds.Let it splutter. Add chopped green chillies and tomatoes. Add peas,chopped potatoes and salt. Add spices and fenugreek leaves. Serve hot with rice,roti or poori/any flatbread. Hi! You are doing great on second recipe.com. I cherish the photographs too, they are so live that I sometimes feel to enter my hand inside the mobile screen to pick up the dish.